People who come to our Cocoa Beach practice know that we place an emphasis on expert treatment as well as patient education. This allows us to offer exceptional dental care as well as insight and advice that can enhance a person's smile for years and years to come. This approach is very important when placing dental implants to treat missing teeth. The process can seem complicated, so letting people know what to expect can ease anxieties and improve results. We rarely get into the history of implant dentistry with our patients, so we'd like to use this blog post as an opportunity to go over these matters in a little detail. While dental implants are a modern innovation in dentistry, there are a number of early examples of dental implants that go back thousands of years. Approximately 4,000 years ago, the Chinese used bamboo pegs to replace a person's missing teeth. Roughly 3,000 years ago, an Egyptian king had a copper false tooth hammered into place. There was also evidence of an iron false tooth found in a Celtic grave in France dating back around 2,300 years ago. In both of these cases, it's assumed that these false teeth were placed after the person's death just given the pain that would have been involved. Going back 2,000 years, a number of people attempted to replace their missing teeth with animal teeth. These animal teeth were often rejected. It wasn't until the beginning of the 20th century that implant dentistry as we know it became a possibility. One of the first successful proto-implant systems was the Greenfield system, which consisted of an iridioplatinum implant capped by a gold dental crown. Unfortunately, many of these early implant systems were unsuccessful. This is mainly due to the poor understanding of the various mechanisms at play with tissue and implant rejection. It wasn't until the 1950s that dental implants would make an extremely important advancement. While conducting a study on rabbits in 1950, researchers at Cambridge University used small titanium chambers that were implanted into the ear area of the study animals. In 1952, Swedish physician Dr. Per-Ingvar Branemark sought out these titanium chambers for his own research into blood flow. Quite by accident, Dr. Branemark noticed that the rabbit's bone structure had grown around and fused with these titanium chambers. It dawns on him that titanium might be an ideal material for bone grafting procedures. A series of experiments involving titanium would occur throughout the decade. After years of research, Dr. Branemark placed the first dental implant in a human volunteer in 1965. It's thanks to his studies that the term "osseointegration" emerged. This refers to the fusion between an implant and the body's living tissue. Osseointegration is necessary to ensure that a dental implant is stable and anchored into the living tissues of the mouth. 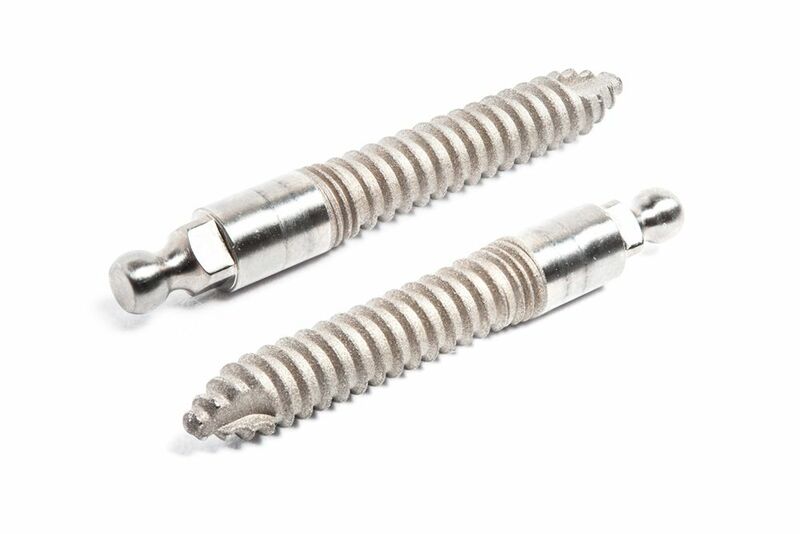 From the 1960s on, refinements would be made in overall implant shape and design. New techniques would be developed to support a full denture on as few as four strategically placed dental implants, maximizing stability while minimizing the need for several implants and increased risk of complication. Thanks to computer imaging/modeling and advanced diagnostics, oral surgeons and dentists are better able to plot and plan an implant dentistry treatment for the best results possible and increased patient satisfaction. For more information about dental implants and how we can enhance the health and beauty of your smile, be sure to contact our advanced dental care center today. We will work with you the restore wellness and improve your overall appearance.